Derrick Wilson, President and CEO of The Wilson Group, has been in the workflow solutions industry for over 20 years. 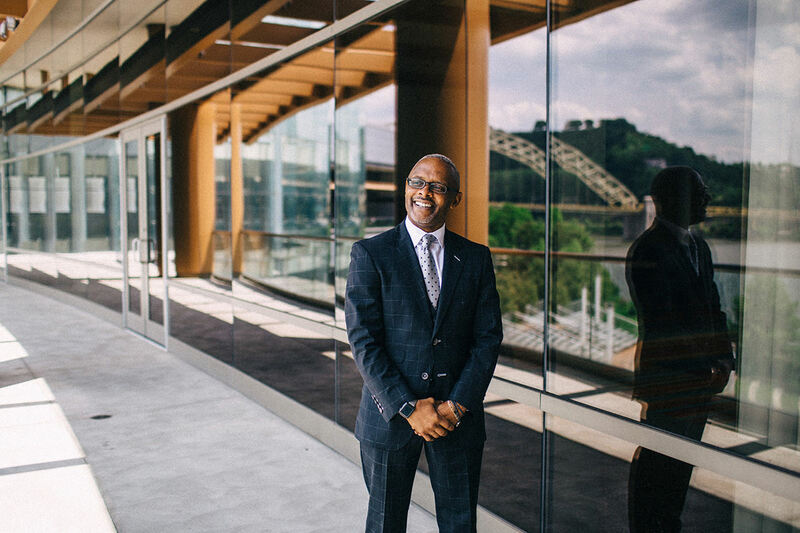 Derrick started his career at ComDoc as an account executive in the downtown Pittsburgh marketplace, determined to demonstrate copier functionality and close the sale in one call. He learned the business the old fashioned way, for every “Yes” you have to hear “No” a dozen times. He has held numerous positions including Major Account Representative at Copyworld, Sales Manager at Business Alternatives, Print Management Specialist at Global Solutions Group and most recently, Vice President of Sales at Xerox. In 2011, Derrick put into motion his desire to own a family business based on his beliefs, values and passion for establishing a partnership with his customers. In July 26, 2012 he launched The Wilson Group, an MBE with a decentralized business model that streamlines business processes, increases employee productivity and decreases hard and soft costs. Derrick is an active community member and sits on several boards including Lifeswork, Providence Connection, Auberle Foundation, YouthPlaces, The Center for Nonprofit Excellence and the Kyle B. Wilson Scholarship Fund. Derrick appreciates the struggles and challenges of nonprofits because he and his family have a 501c3 charity in the honor and memory of his son Kyle. For more information on KW 23, click here. Derrick lives in Wexford, PA and has three daughters, Brittney, Deseia and Ashleigh. When Derrick is not working hard for his customers he is coaching or cheering for his daughter Ashleigh in basketball, volleyball, and track.